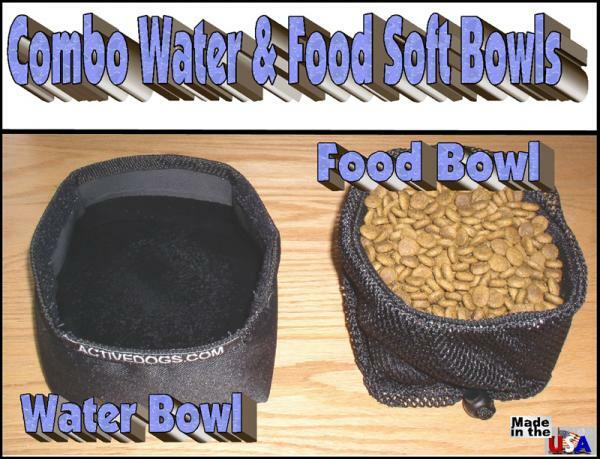 Great convenient combo water & food bowls. 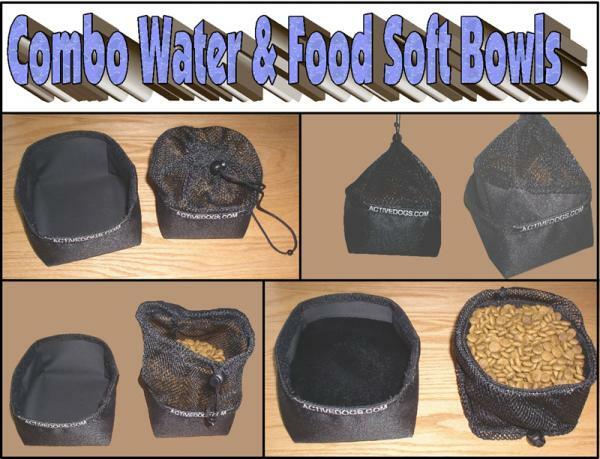 They are leak proof and store together with Hook and Loop at the sides of the bowls. 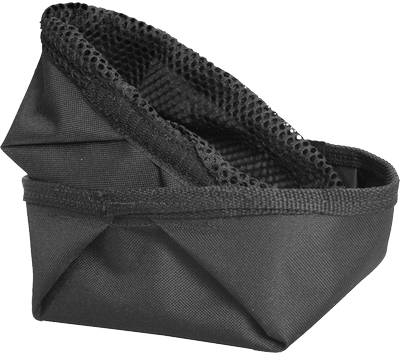 The food dish has a drawstring netted top so you will not loose any food during travel. These dishes are just the right size for travel and when you are done they can be tossed in the washing machine to clean or can be wiped out with a damp rag. 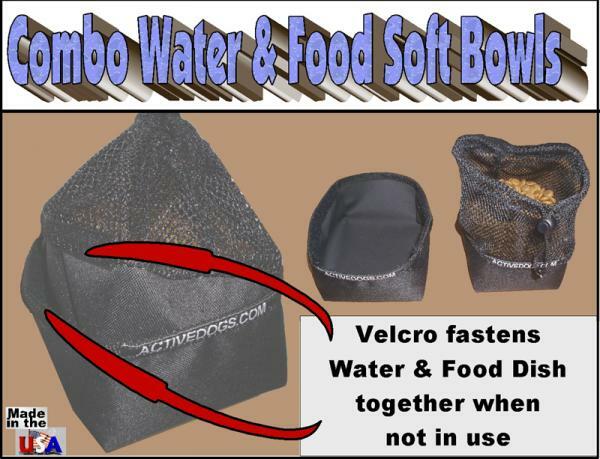 You receive both the water and food bowls that are attachable to each other.